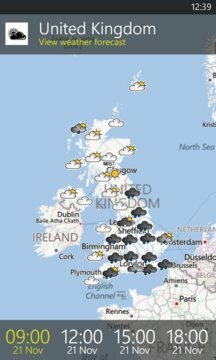 As the UK’s national meteorological service, the Met Office provides the most accurate and reliable weather forecasts on TV and radio, in print, and online. 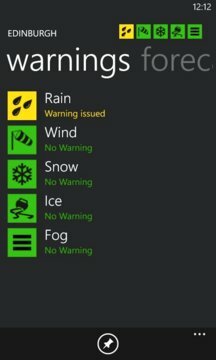 Now, you can get our UK forecasts wherever you go with the Met Office Windows Phone 8 application. Please note the map layers will work best over 3G or WiFi. Please check our website www.metoffice.gov.uk for more information about our services and application updates.